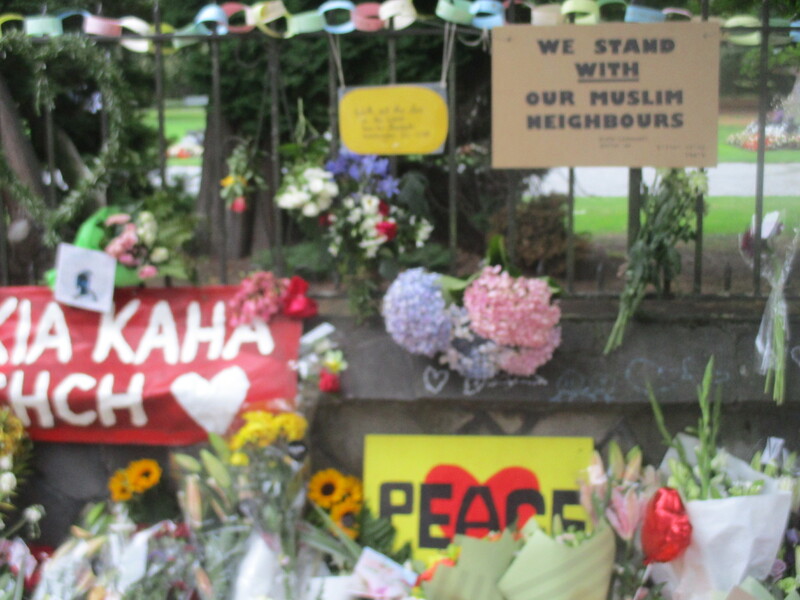 The hideous massacre of Muslim worshippers in Christchurch New Zealand, and the aftermath, is not a moment for polemic or politics although both are a necessary response over the ensuing months and years as we as individuals and societies grapple with solutions to problems that are the result of hatred by some, of others. The very fact that this atrocity took place in house of worship, like those that have happened in Synagogue or Church, compounds its hideousness. An irony is, the location of this outrage having the name of Christchurch. Any of us from a Christian background, as with the current majority of the citizens and residents of New Zealand, can sense the poignancy of this, shared by any of faith, or who has faith in human feelings or thoughts, oriented towards the spiritual, as well as the political, aspects of such horrors. When such a thing happens though, a whole community becomes a Church, a Synagogue, a Mosque. There is a modern reworking of a word, or phrase, to "other," someone. "Othering," a verb now, from a word not hithertoo a verb, a new way ostensibly, of saying, alienating, rejecting, mocking. Nobody is, or should be considered, other, other than is so, in that we are each of us an individual, and better thus often, than as identified soley as part of or joined to, a group. But othering someone, is not appreciating someone, for their individuality or otherwise. It is more likely the very labelling of someone because they are not appreciated for who they are, but are seen as only part of a group, a group maligned. The Muslim worshippers at Christchurch, those who, horribly, we have lost, those who, happily, are with us, are not other than us, any of us, who are not Muslims, or who are, but were not there. They are our friends, our neighbours, our family, our community. For at and on such turning points in the road, or detours on a journey, the direction travelled is to where, indeed, we are all at. We are all in Christchurch. To say other than that is pointless. We need to think of ourselves as being together and feel for each other. We are thus one in our unity and indeed, as often expressed, in our diversity. There is no sense of naiveity in that. The flowers and prayers and tributes are those of a comunity. Of one, to another. One another.